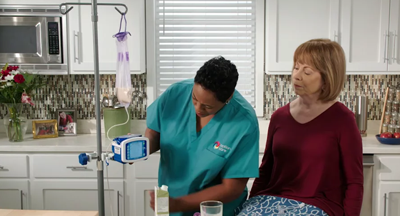 Our expert home nutrition support teams can support all enteral nutrition therapy patients for any diagnosis. We’re here from the beginning of therapy and beyond – whatever the disease or treatment plan. 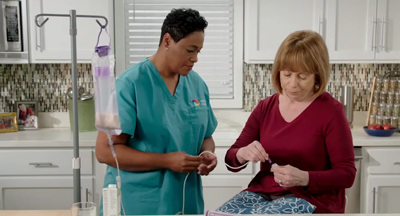 Since potential gaps in care can result in complications, hospital readmission, and ultimately higher costs, successful enteral therapy requires more than just placing a feeding tube. Our staff provides high-touch, personalized enteral nutrition therapy services and supports them with the highest standard of care. Our interventions prevent hospitalization and reduce costs1,2, and our ongoing, proactive patient evaluation promotes compliance and enables early identification of potential complications. 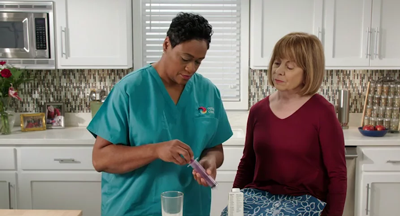 We’re providing the following resources to help educate patients, caregivers, and their care teams to manage their Enteral Nutrition therapy. 1. Luszcz N, O’Neill M, Siddiqui T. Home nutrition support team interventions demonstrate improved clinical and financial outcomes. Poster presented at: Clinical Nutrition Week 2013; February 9-12, 2013; Phoenix, AZ. 2.Based on a study of home nutrition interventions conducted over a 3-month period; 2,500 EN patients were enrolled.